Aren’t gravel bikes just repurposed mountain bike technology? 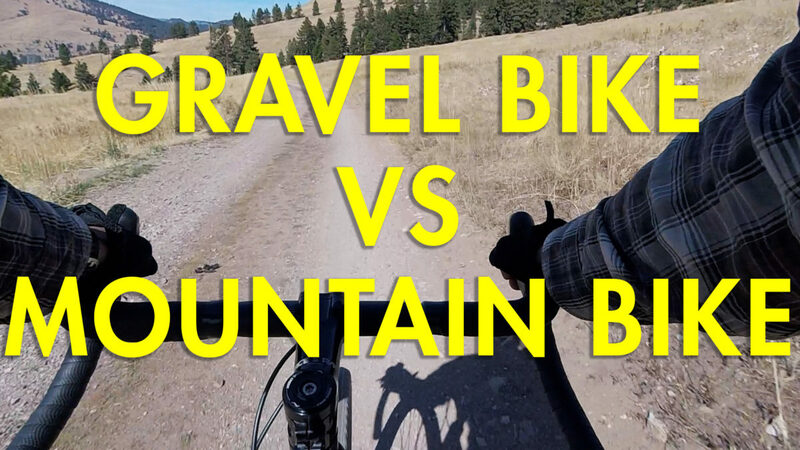 We get this comment a lot and decided to compare geometries between the modern “gravel” all-road bike and a 84 Stumpjumper. We also talk about reasons why we choose a drop bar style gravel bike over a mountain bike for the rides and events we like to do. The Gravel bike is mostly about the tires. Seems that lightly treaded 40-50mm tires that are designed to roll fast on pavement but also hook up well on dirt defines the gravel tire. While road tires only roll fast on pavement and mountain tires only hook up well on dirt, the gravel tire manages to do both. Put a set of 45mm gravel tires on your hardtail and it makes a pretty good gravel bike. I did and I couldn’t believe how fast my hardtail was on pavement and gravel. (It would be better with a rigid carbon fork.) Put a set of 45mm tires on your road bike (If it had clearance?) and you would have pretty good gravel bike. I could see how some might prefer a gravel bike with mountain geometry and flat bars (like myself). Others might prefer a gravel bike with road geometry and drop bars. I don’t think it has to be one or the other. However both bikes would need a tire that rolls fast on pavement while hooking up on dirt to be called a gravel bike because that’s how we/I use gravel bikes. It’s not about the geometry or the handlebars. It’s about the tires! Good stuff, as usual! Still wondering if you’ll consider doing a post about which frames make ideal ‘gravel’ conversions. The mid 90’s Specialized Stumpjumpers have a tighter rear end and slightly less slack headtube than the older one you compared this to in your last video. You can find these frames a dime a dozen on eBay or Craigslist. I get the sense many of your fans are tinkerers, like me. It’d be awesome to see what everyone is up to and how they’ve built a modern bike on a budget. Sure, new bikes like the Warbird are great. But man, are they expensive! Also, to the previous commenter’s point, tire and wheel size make a huge difference in handling. Yes, the old Stumpy’s have long and low frames. But they also have 26″ wheels, which turn much more quickly than the 700c wheels that most gravel bikes roll on. Keep it up. And here’s to more age diversity for the bikes that make it on the channel!